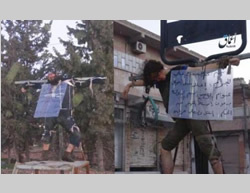 Photos of the captured pilot distributed by ISIS on social networks. 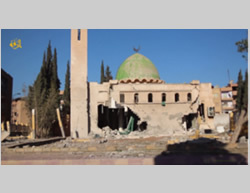 The mosque in Al-Raqqah that was hit by a missile which ISIS claims was fired from the air (IsdaratTube, December 26, 2014). The main event of the week was the crash of a Jordanian aircraft in Al-Raqqah and the capture of its pilot by ISIS. The crash is the first incident of its kind since the beginning of the air campaign against ISIS. It was used by ISIS for its propaganda purposes, claiming that it shot down the aircraft with an anti-aircraft missile. US Army and Jordanian Army sources announced that preliminary evidence indicates that the aircraft crashed and was not shot down by ISIS. 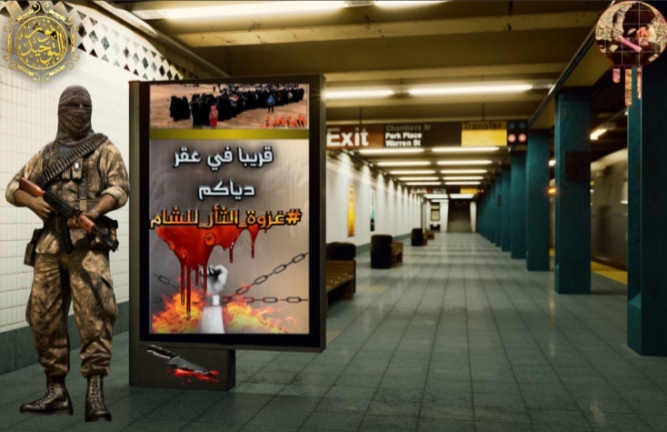 Sources in the Salafist movement in Jordan quickly announced that they would be willing to mediate negotiations between Jordan and ISIS for the release of the pilot in exchange for jihadi supporters imprisoned in Jordan. Fighting in Iraq and Syria continued in the major battle zones, without significant changes on the ground. A senior Iranian officer in the Revolutionary Guards, who served as advisor to the Iraqi Army and Shiite militias, was killed by ISIS this week in the fighting in the Shiite city of Samarra, north of Baghdad. His funeral in Tehran was attended by senior figures in the Iranian military and security establishment. His death sheds some light on the indirect Iranian support of the Shiite militias fighting against ISIS, which were set up and operated by the Revolutionary Guards’ Qods Force during the years of fighting against the US and its allies in Iraq. Syria– the airstrikes were concentrated in Kobani (Ayn al-Arab), where fighting between ISIS and Kurdish forces continues. ISIS targets were also attacked in the provinces of Deir al-Zor, Al-Hasakah, Aleppo and Al-Raqqah, ISIS’s “capital”. The US Army reported that the airstrikes destroyed buildings, battle positions, deployment areas, oil facilities and vehicles belonging to ISIS. Airstrikes were carried out by the US and its Arab allies (Bahrain, Jordan, Saudi Arabia and the UAE). 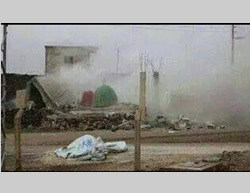 Iraq– the airstrikes focused on ISIS targets in the areas of Mosul, Fallujah, Al-Qaim, Baiji, the Al-Assad military airfield (in the province of Anbar, south of Haditha) and Sinjar. The attacks included equipment, vehicles and checkpoints in Al-Qaim (northwestern Iraq, near the border with Syria); a military headquarters in Mosul; buildings near Baiji where ISIS operatives were staying; ISIS vehicles and forces near the Al-Assad military airfield, and vehicles and units near Sinjar. The airstrikes were carried out by the US and its Western allies (Australia, Belgium, Canada, Denmark, France, the Netherlands and Britain). On December 24, 2014, a Jordanian F-16 fighter plane crashed during a combat mission in northern Syria, near the city of Al-Raqqah. The pilot bailed out. ISIS announced that it had shot down the aircraft with an anti-aircraft missile and captured its pilot. On the other hand, the head of the US Army Central Command announced that the aircraft had crashed and was not shot down by ISIS: “Evidence clearly indicates that ISIL did not down the aircraft as the terrorist organization is claiming” (AFP, December 24, 2014). The Jordanian Army also announced that preliminary evidence indicates that the crash was not the result of firing by ISIS (Jordanian News Agency, December 24, 2014). This is the first time a coalition aircraft has crashed while carrying out airstrikes against ISIS. ISIS has shoulder-fired anti-aircraft missiles, which it has used to intercept Iraqi Army helicopters on several occasions. 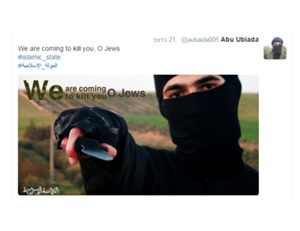 However, the ITIC is not aware that ISIS is capable of intercepting fighter planes. Therefore, it is likely that the American and Jordanian version that the plane crashed (possibly due to a technical fault) is correct. 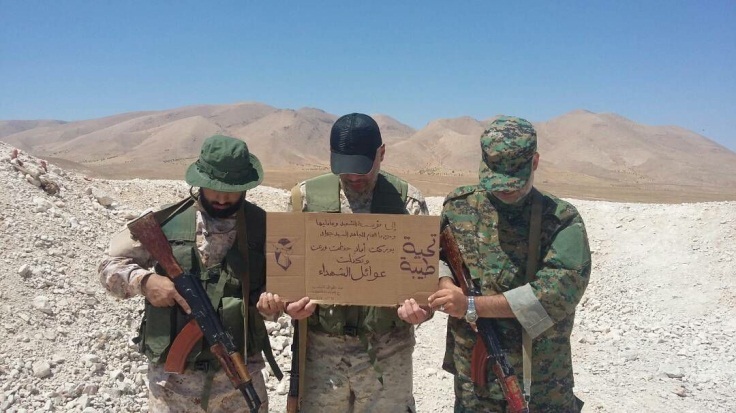 According to the Jordanian and Arab media, the pilot, who was taken prisoner by ISIS, is a first lieutenant by the name of Mu'ath Safi Yousef al-Kaseasbeh, 27, who served in the province of Karak in southern Jordan. Senior Jordanian officials stressed that they are working to secure the return of the captured pilot. Sources in the Jordanian Salafist movement announced that they are prepared to mediate between the government of Jordan and ISIS over the release of the captured pilot in return for operatives, supporters of ISIS, imprisoned in Jordan. 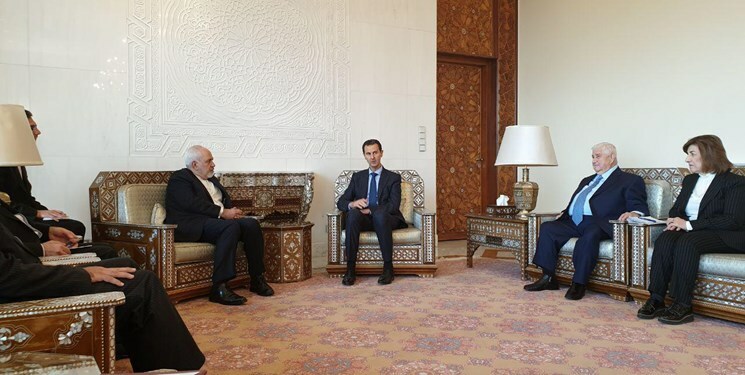 It was also reported that Jordan has asked Turkey to help it in its efforts to secure the release of the captured pilot (Hürriyet, December 29, 2014). 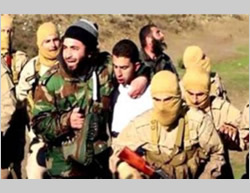 There are over 200 Salafist-jihadi operatives detained in Jordan (Al-Ghad, December 29, 2014). 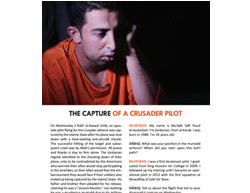 Some of them have been detained for involvement in terrorism and subversion against the regime.Their possible release in exchange for the captive Jordanian pilot is liable to strengthen the power of the supporters of ISIS and the global jihad in Jordan, increase the risk that they pose to the Hashemite regime and, possibly, hamper Jordan’s involvement in the US-led coalition. According to the London-based Syrian Observatory for Human Rights (SOHR), since the international coalition’s airstrikes began, around 1,170 people have been killed and over 800 have been injured. 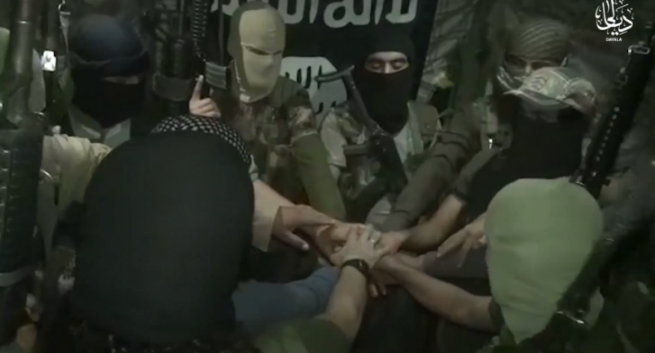 Among those killed, 1,046 were ISIS operatives and 72 were Al-Nusra Front operatives. A total of 52 civilians were also killed in coalition airstrikes. 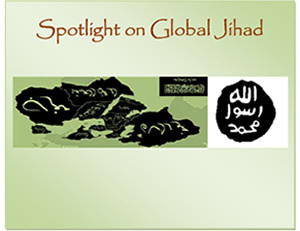 The weekly publication Spotlight on Global Jihad monitors developments among ISIS and global jihad organizations in the Middle East and terrorist activities around the world, directed, supported or inspired by the global jihad organizations in the Middle East. 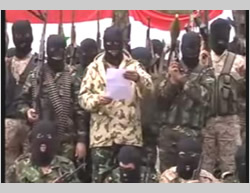 For information about the support for ISIS in Jordan, see the ITIC’s study from November 26, 2014: “ISIS: Portrait of a Jihadi Terrorist Organization,” pp. 181-186.